N. G. Quilis, N. Sharma, S. Fossati, W. Knoll, J. Dostalek, “Responsive polymer networks and brushes for active plasmonics” in Polymer and Biopolymer Brushes: Fundamentals and Applications in Materials Science and Biotechnology, edited by Omar Azzaroni and Igal Szleifer, John Wiley & Sons, Ltd. (2018), ISBN:1118928903. K. Toma, M. Toma, M. Bauch, S. Hageneder, J. Dostalek, Fluorescence Biosensors Utilizing Grating-Assisted Plasmonic Amplification in "Surface Plasmon Enhanced, Coupled, and Controlled Fluorescence", C. Geddes (eds), Willey, NJ, (2017) ISBN: 978-1-118-02793-6. W. Knoll, A. Kasry, C.J. Huang, Y. Wang, J. Dostalek, Surface-Wave Enhanced Biosensing in "Introduction to Plasmonics", pp. 119–143, Sabine Szunerits (eds), Singapore: Pan Stranford. (2015) ISBN: 978-98-1461312-5. W. Knoll, A. Kasry, J. Dostalek, Biofunctional Surfaces in "The Micro-Nano Interface: Bridging the Micro and Nano Worlds, 2nd Edition", M. Van de Voorde, M. Werner, H-J. Fecht (eds): Wiley (2015) ISBN: 978-3-527-33633-3. Dostálek J and Knoll W, Plasmonics in "Polymer Science: A Comprehensive Reference", Vol 2, pp. 647–659, Matyjaszewski K and Möller M (eds. ), Amsterdam: Elsevier BV. (2012) ISBN: 978-0-08-087862-1. Y. Wang, C. J. Huang, J. Dostalek, Evanescent wave biosensors with hydrogel binding matrix in "Handbook of Biofunctional Surfaces", Wolfgang Knoll (ed. ), Pan Stanford Publishing, Singapore, (2012), ISBN: 9789814316637. J. Dostalek, C. J. Huang, W. Knoll, Chapter 1.3: Surface plasmon resonance-based biosensors, in "Advanced surface design for biomaterial and life science applications", A.T.A. Jenkins, R. Foersch, H. Schoenherr (eds. ), Wiley-VCH, Weinheim (2009), 29-49, ISBN: 978-3-527-40789-7. A. Kasry, J. Dostalek, W. Knoll, Chapter 5.4: Long range surface plasmon-enhanced fluorescence spectroscopy as a platform for biosensors in "Advanced surface design for biomaterial and life science applications", A.T.A. Jenkins, R. Foersch, H. Schoenherr (eds. ), Wiley-VCH, Weinheim (2009), 447-460, ISBN: 978-3-527-40789-7. J. Dostalek, J. Homola, SPR Biosensors for Environmental Monitoring in "Surface Plasmon Resonance Based Sensors", J. Homola (ed. ), Springer (2006), ISBN: 978-3-540-33918-2. Bernhagen, Dominik; Jungbluth, Vanessa; Gisbert Quilis, Nestor; Dostalek, Jakub; White, Paul; Jalink, Kees; Timmerman, Peter, Bicyclic RGD-peptides with Exquisite Selectivity for the Integrin αvβ3 Receptor using a ‘Random Design’ Approach, ACS Combinatorial Science, 2019, 21 (3), pp 198–206. Juan A. Allegretto, Jakub Dostalek, Matias Rafti, Bernhard Menges, Omar Azzaroni, Wolfgang Knoll, Shedding light on the dark corners of MOF thin films: growth and structural stability of ZIF-8 layers probed by Optical Waveguide Spectroscopy, Journal of Physical Chemistry C, 2019, 123 (2), pp 1100-1109. Christian Stelling, Stefan Fossati, Jakub Dostalek, Markus Retsch, Surface plasmon modes of nanomesh-on-mirror nanocavities prepared by nanosphere lithograhy, Nanoscale, 2018, 10, 17983-1798. Esteban Piccinini, Sebastian Alberti, Gabriel S. Longo, Teresa Berninger, Jakub Dostalek, Fernando Battaglini, Omar Azzaroni, and Wolfgang Knoll, Pushing the boundaries of interfacial sensitivity in graphene FET sensors: Polyelectrolyte multilayer films strongly increase the Debye screening length, Journal of Physical Chemistry C, 2018, 122 (18), pp 10181–10188. Nestor G. Quilis, Mederic Lequeux, Pryiamvada Venugopalan, Imran Khan, Souhir Boujday, Wolfgang Knoll, Marc Lamy de la Chapelle, Jakub Dostalek, Tunable laser interference lithography preparation of plasmonic nanoparticle arrays tailored for SERS, Nanoscale, 2018, 10, 10268-10276 . Agnes Reiner, Stefan Fossati, Jakub Dostalek, Biosensor platform for parallel surface plasmon-enhanced epifluorescence and surface plasmon resonance detection, Sensors and Actuators B, 2018, 257, 594-601. Jinling Zhang, Imran Khan, Zhang Qingwen, Xiaohu Liu, Jakub Dostalek, Bo Liedberg, Yi Wang, Lipopolysaccharides detection on a grating-coupled surface plasmon resonance smartphone biosensor, Biosensors and Bioelectronics, 2018, 99, 312-317. Khulan Sergelen, Christian Petri, Ulrich Jonas, and Jakub Dostalek, Free-standing hydrogel-particle composite membrane with dynamically switchable permeability, Biointerphases, 2017, 12, 051002. Agnes Reiner, Nicolas Guillermo Ferrer, Priyamvada Venugopalan, Ruenn Chai Lai, Saikiam Lim and Jakub Dostalek, Magnetic nanoparticle-enhanced surface plasmon resonance biosensor for extracellular vesicle analysis, Analyst, 2017, 142, 3913-3921. Khulan Sergelen, Bo Liedberg, Wolfgang Knoll, and Jakub Dostálek, Surface plasmon field-enhanced fluorescence reversible split aptamer biosensor, Analyst, 2017, 142, 2995-3001. Khulan Sergelen, Stefan Fossati, Aysegül Turupcu, Chris Oostenbrink, Bo Liedberg, Wolfgang Knoll, and Jakub Dostálek, Plasmon field-enhanced fluorescence energy transfer for hairpin aptamer assay readout, ACS Sensors, 2017, 2 (7), 916-923. Imran Khan, Martin Bauch, Theodoros Dimopoulos, and Jakub Dostalek, Nanostructured as-deposited indium tin oxide thin films for broadband antireflection and light trapping, Nanotechnology, 2017, 28(32), 325201. A. Vagias, K. Sergelen, K. Koynov, P. Košovan, J. Dostalek, U. Jonas, W. Knoll, G. Fytas, Diffusion and permeation of labeled IgG in grafted hydrogels, Macromolecules, 2017, 50 (12), 4770–4779. T. Riedel, S. Hageneder, F. Surman, O.Pop-Georgievski, C. Noehammer, M. Hofner, E. Brynda, C. Rodriguez-Emmeneger, J. Dostalek, Plasmonic Hepatitis B biosensor for the analysis of clinical saliva, Analytical Chemistry, 2017, 89 (5), 2972. F. Pirani, N. Sharma, A.M. Cencerrado, S. Fossati, C.Petri, U. Jonas, E. Descrovi, J.L. Toca-Herrera, J. Dostalek, Diffraction observation of responsive properties of hydrogel nanopillars, Macromolecular Chemistry and Physics, 2017, 218 (6), 1600400. A. Karczmarczyk, C. Reiner-Rozman, S. Hageneder, M. Dubiak-Szepietowska, J. Dostalek, K.H. Feller, Fast and sensitive detection of ochratoxin A in red wine by nanoparticle-enhanced SPR, Analytica Chimica Acta, 2016, 937, 143-150. S. Hageneder, M. Bauch, J. Dostalek, Plasmonically amplified bioassay - total internal reflection fluorescence vs. epifluorescence geometry, Talanta, 2016, 156-157, 225-231. T. Riedel, F. Surman, S. Hageneder, O.Pop-Georgievski, C. Noehammer, M. Hofner, E. Brynda, C. Rodriguez-Emmeneger, J. Dostalek, Hepatitis B plasmonic biosensor for the analysis of clinical serum samples, Biosensors and Bioelectronics, 2016, 85, 272-279. Y. Wang, L. Wu, M. Bauch, Q. Zhang, J. Zhang, X. Liu, X. Zhou, P. Bai, J. Dostalek, B. Liedberg, Directional Fluorescence Emission Co-Enhanced by Localized and Propagating Surface Plasmons for Biosensing, Nanoscale, 2016, 8, 8008-8016. A. Karczmarczyk, M. Dubiak-Szepietowska, M. Vorobii, C. Rodriguez-Emmeneger, J. Dostalek, K.H. Feller, Sensitivie and rapid detection of aflatoxin M1 in milk utilizing enhanced SPR and p(HEMA) brushes, Biosensors and Bioelectronics, 2016, 81, 159-165. F. Frascella, C. Petri, S. Ricciardi, L. Napione, P. Munzert, U. Jonas, J. Dostalek, F. Bussolino, C. Fabrizio Pirri, E. Descrovi. Hydrogel-Terminated Photonic Crystal for Label-Free Detection of Angiopoietin-1, Journal of Lightwave Technology, 2016, 34(15) 3641-3645. N. Sharma, C. Petri, U. Jonas, J. Dostalek, Reversibly tunable plasmonic bandgap by responsive hydrogel grating, Optics Express, 2016, 24 (3), 2457-2465. N. Sharma, H. Keshmiri, X. Zhou, T.I. Wong, C. Petri, U. Jonas, B. Liedberg, J. Dostalek, Tunable plasmonic nanohole arrays actuated by responsive hydrogel cushion, Journal of Physical Chemistry C, 2016, 120, 561-568. I. Khan, H. Keshmiri, Kolb F., T. Dimopoulos, E.J.W. List-Kratochvil, J. Dostalek, Multidiffractive broadband plasmonic absorber, Advanced Optical Materials 2016, 4(3), 435-443. S. Gogalic, S. Hageneder, C. Ctortecka, M. Bauch, I. Khan, C. Preininger, U. Sauer, J. Dostalek, Plasmonically amplified fluorescence bioassays with microarray format, Proc. of SPIE Optical Sensors 2015, Vol. 9506, 950605. H. Keshmiri, J. Dostalek, Plasmonic organic thin-film solar cell: light trapping by using conformal vs non-conformal relief gratings, Proc. of SPIE Metamaterials X 2015, Vol. 9502, 950210. M. Bauch, S. Hageneder, J. Dostalek, Plasmonic amplification for fluorescence assays with epi-fluorescence readout, Optics Express (2014), 22(26), 32026-32038. N. Sharma, C. Petri, U. Jonas, M. Bach, G. Tovar, K. Mrkvova, M. Vala, J. Homola, W. Knoll, J. Dostalek, Molecularly Imprinted Polymer Waveguides for Direct Optical Detection of Low Molecular Weight Analytes, Macromolecular Chemistry and Physics (2014), 215(23), 2395-2304. M. Bauch, K. Toma, M. Toma, Q. Zhang, J. Dostalek, Surface plasmon-enhanced fluorescence biosensors: a review, Plasmonics (2014), 9 (4), 781-799. CJ. Huang, W. Knoll, A. Sessitsch, J. Dostalek, SPR bacterial pathogen biosensors: the importance of fluidic conditions and probing depth, Talanta (2014), 122, 166-171. M. Bauch, J. Dostalek, Collective localized surface plasmon-enhanced fluorescence for high performance biosensors, Optics Express (2013) 21(17) pp 20470-20483. R. Mejard, J. Dostalek, CJ. Huang, H. Griesser, B. Thierry, Tunable and robust long range surface plasmon resonance for biosensor applications, Optical Materials (2013), 35 (23) pp 2507-2513. M. Toma, U. Jonas, A. Mateescu, W. Knoll, J. Dostalek, Active control of SPR by thermoresponsive hydrogels for biosensor applications, Journal of Physical Chemistry C (2013), 117(22), pp 11705-11712. K. Toma, M. Vala, P. Adam, J. Homola, W. Knoll, J. Dostalek, Compact surface plasmon-enhanced fluorescence biochip, Optics Express (2013), 21(8), 10121-10132. M. M. Pichler, S. Kupcu, C.J. Huang, J. Dostalek, D. Pum, U. B. Sleytr, P.Ertl, Nanotechnology advanced antifouling surfaces for the continuous electrochemical monitoring of glucose in the whole blood, Lab Chip (2013), 13, 1780. K. Toma, E. Descrovi, M. Toma, M. Ballarini, P. Mandracci, F.Giorgis, A.Mateescu, U. Jonas, W. Knoll, J. Dostalek, Bloch Surface Wave-Enhanced Fluorescence Spectroscopy Biosensor, Biosensors and Bioelectronics (2013), 43, 108-114. Q. Zhang, Y. Wang, A., Mateescu, K. Sergelen, A. Kibrom, U. Jonas, T. Wei, J. Dostalek, Biosensor Based on Hydrogel Optical Waveguide Spectroscopy for the Detection of 17β-Estradiol, Talanta, (2013), 104, 149-154. Y. Wang, W. Knoll, J. Dostalek, Long Range Surface Plasmon Resonance Biosensor for Magnetic Nanoparticle-Enhanced Detection of Bacterial Pathogens, Analytical Chemistry, (2012), 84, 8345-8350. 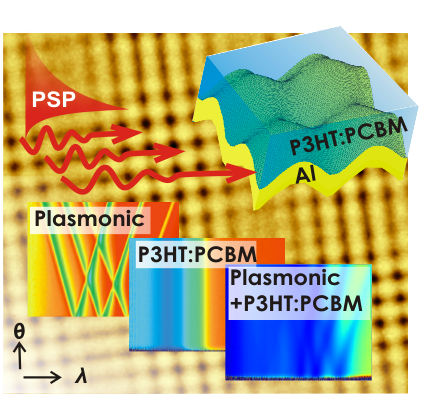 M. Toma, K. Toma, P. Adam, J. Homola, W. Knoll, J. Dostalek, Surface plasmon-coupled emission on plasmonic Bragg gratings, Optics Express, (2012), 20(13), 14042. M. Toma, W. Knoll, J. Dostalek, Bragg-scattered surface plasmon microscopy, Plasmonics, (2012) 7(2), 293-299. A. Mateescu, Y. Wang, J. Dostalek, U. Jonas, Thin Hydrogel Films for Optical Biosensor Applications, Membranes, (2012), 2(1), 40-69. Y.Wang, J. Dostalek, W. Knoll, Magnetic Nanoparticle-Enhanced Biosensor Based On Grating-Coupled Surface Plasmon Resonance, Analytical Chemistry (2011), 83, 6202–6207. K.Toma, J. Dostalek, W. Knoll, Long-Range Surface Plasmon-Coupled Emission for Biosensor Applications, Optics Express (2011), Vol. 19, Iss. 12, pp. 11084–11089. C.J. Huang, J. Dostalek, A. Sessitsch, W. Knoll, Long-Range Surface Plasmon-Enhanced Fluorescence Spectroscopy Biosensor for Ultrasensitive Detection of E. coli O157:H7, Analytical Chemistry (2011), 83 (3), 674–677. 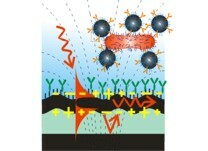 Y. Wang, J. Dostalek, W. Knoll, Magnetic nanoparticle-enhanced SPR biosensor, Proc. Engineering (2010), 5, 1017-1020. C.J. Huang, J. Dostalek, W. Knoll, Long range surface plasmon and hydrogel waveguide field-enhanced fluorescence biosensor with 3D binding matrix: on the role of mass transport, Biosensors and Bioelectronics (2010), 26, 4, 1425-1431. E-K. Sinner, S. Ritz, Y. Wang, J. Dostalek, U. Jonas, W. Knoll, Molecularly Controlled Functional Architectures at Biointerfaces, Materials Today (2010), 23, 4, 47-55. Y. Wang, C.J. Huang, U. Jonas, T. Wei, J. Dostalek, W. Knoll, Biosensor based on Hydrogel Optical Waveguide Spectroscopy, Biosensors and Bioelectronics, (2010), 25, 1663-1668. C.J. Huang, J. Dostalek, W. Knoll, Optimization of layer structure supporting long range surface plasmons for surface plasmon-enhanced fluorescence spectroscopy biosensors, Journal of Vacuum Society and Technology B, (2010), 28, 1, 66-72. Y. Wang, Annette Brunsen, U. Jonas, J. Dostalek, W. Knoll, Prostate Specific Antigen Biosensor Based on Long Range Surface Plasmon-Enhanced Fluorescence Spectroscopy and Dextran Hydrogel Binding Matrix, Analytical Chemistry, (2009) 81, 23, 9625-9632. A. Aulasevich, R.F. Roskamp, U. Jonas, B. Menges, J. Dostalek, W. Knoll, Optical waveguide spectroscopy for the investigation of protein-functionalized hydrogel films, Macromolecular Rapid Communications, (2009), 30, 872-877. Y. Wang, J. Dostalek, W. Knoll, Long range surface plasmon-enhanced fluorescence spectroscopy for the detection of aflatoxin M1 in milk, Biosensors and Bioelectronics, (2009), 24, 2264-2267. J. Dostalek, R. F. Roskamp, W. Knoll, Coupled long range surface plasmons for the investigation of thin films and interfaces, Sensors and Actuators B, (2009), 139, 9-12. C.J. Huang, U. Jonas, J. Dostalek, W. Knoll; "Biosensor platform based on surface plasmon-enhanced fluorescence spectroscopy and responsive hydrogel binding matrix", Proc. SPIE 2009, Vol. 7356, 735625. W. Knoll, A. Kasry, F. Yu, Y. Wang, A. Brunsen, J. Dostalek, New concepts with surface plasmons and nano-biointerfaces, Journal of Nonlinear Optical Physics & Materials, (2008), Vol. 17, No. 2, pp 121-129. J. Dostalek, W. Knoll, Biosensors based on surface plasmon-enhanced fluorescence spectroscopy, Biointerphases, (2008), Vol. 3, No.3, 12-22. J. Dostalek, P. Adam, P. Kvasnicka, O. Telezhnikova, J. Homola, Spectroscopy of Bragg-scattered surface plasmons for characterization of thin biomolecular films, Optics Letters 32 (2007), 2903-2905. J. Dostalek, A.Kasry, W. Knoll, Long range surface plasmons for observation of biomolecular binding events at metallic surfaces, Plasmonics (2007) 2, 97-106. P. Adam, J. Dostálek, O. Telezhnikova, J. Homola: SPR Sensor Based on a Bi-diffractive Grating, Proc SPIE 2007,Vol 6585, 65851Y. M. Vala, J. Dostálek, J. Homola: Diffraction Grating-Coupled Surface Plasmon Resonance Sensor Based on Spectroscopy of Long-Range and Short-Range Surface Plasmons, Proc. SPIE 2007, VOl 6585, 658522. P. Adam, J. Dostalek, J. Homola, Multiple surface plasmon spectroscopy for study of biomolecular systems, Sensors and Actuators B, 113, (2006) 771-781. J. Dostalek, H. Vaisocherova, J. Homola, Multichannel Surface Plasmon Resonance Biosensor with Wavelength Division Multiplexing, Sensors and Actuators B, 108 (2005) 758-764. J. Dostalek, J. Homola, M. Miler, Rich information format surface plasmon resonance biosensor based on an array of diffraction gratings, Sensors and Actuators B, 107 (2005) 154-161. J. Homola , H. Vaisocherova, J. Dostalek, M. Piliarik, Multianalyte surface plasmon resonance biosensing, Methods, 37 (2005), 26-36. J. Rysava, J. E .Dyr, J. Homola, J. Dostalek, P. Krizova, L. Masova, J. Suttnar, J. Briestensky, I. Santar, K. Myska, M.Pecka, Surface interactions of oxidized cellulose with fibrin(ogen) and blood platelets, Sensors and Actuators B, 90 (2003) 243-249. J. Homola, J. Dostalek, S. Chen, A. Rasooly, S. Jiang, S. S. Yee: Spectral Surface Plasmon Resonance Biosensor for Detection of Staphylococcal Enterotoxin B (SEB) in Milk , Journal of Microbiology, 75, (2002) 61-69. 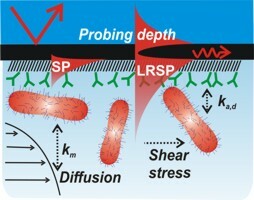 J. Homola, J. Dostalek, S. Chen, A. Rasooly, Shaoyi Jiang, S. S. Yee, Reference-Compensated Surface Plasmon Resonance Biosensor for Detection of Foodborne Pathogens, International Conference on Optical Engineering for Sensing and Nanotechnology, Yokohama, Japan, June 2001, SPIE Proceedings, Vol. 4416, 280-283. J. Homola, J. Dostalek, J. Ctyroky, A novel approach to surface plasmon resonance multichannel sensing, International Conference on Optical Engineering for Sensing and Nanotechnology, Yokohama, Japan, June 2001, SPIE Proceedings, Vol. 4416, 86-89. J. Dostalek, J. Ctyroky, J. Homola, E. Brynda, M. Skalsky, P. Nekvindova, J. Spirkova, J. Skvor, J. Schröfel: Surface plasmon resonance biosensors based on integrated optical waveguides, Sensors and Actuators B, 76 (2001), 8-12. 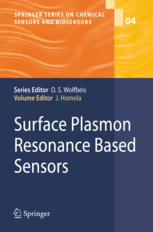 J. Homola, H. B. Lu, G. G. Nenninger, J. Dostalek, S. S. Yee: A novel multichannel surface plasmon resonance biosensor, Sensors and Actuators B, 76 (2001) 403-410. J. V. Koubova, E. Brynda, L. Karasova, J. Skvor, J. Homola, Dostalek, P. Tobiska, J. Rosicky: Detection of foodborne pathogens using surface plasmon resonance biosensors, Sensors and Actuators B, 74 (2001), 100-105. - J. Ctyroky, J. Dostalek, J. Homola: Means for Multichannel Detection in Optical Sensors with Surface Plasmons, registered at Czech Patent and Trademark Office in 11/22/2000, PV-2000-4320. - K. Toma, J. Dostalek, W. Knoll, J. Homola, M. Vala, P. Adam, Compact Biochip for Plasmon-Enhanced Fluorescence Biosensor, submitted to European Patent Office, EP12168046.